Monarch Air Group provides private air charter in Buffalo, NY. Our clients benefit from top-notch service, unrelenting dedication to safety, wide selection of aircraft, and years of experience in chartering private jets. To obtain a free quote, please use our online quoting tool provided below, or call toll free 1-877-281-3051. The most hospitable American city and the second largest city in the state of New York, is located at the head of the mighty Niagara River and on the Eastern shore of Lake Erie. It’s the economic and cultural center of New York that offers natural views, big art collections, 19th and 20th century architecture, delicious dining and numerous historical places. In addition, the city offers water sports, like jet skiing and parasailing, incredible sightseeing at Niagara Falls and something else to do from visiting tourists to your average businessman. 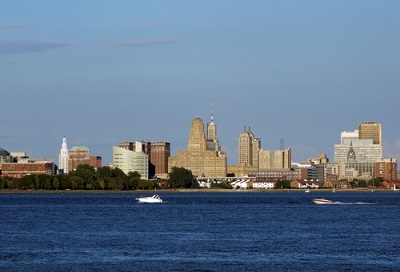 Buffalo was twice awarded the titles “Third cleanest city in America” and “A city with a heart”. The magazine USA Today named Buffalo one of the most popular travel and business destinations in America. 1. DKK, Dunkirk, Dunkirk, United States. 2. DSV, Dansville, Dansville, United States. 3. IAG, International, Niagara Falls, United States. 4. JHW, Jamestown, Jamestown, United States. 5. OLE, Municipal, Olean, United States. 6. ROC, Greater Rochester International, Rochester, NY, United States. 7. YCM, St Catharines, St Catharines, Canada. 8. YHM, Hamilton, Hamilton, Canada. 9. YTO, Metropolitan Area, Toronto, Canada. 10. YTZ, Toronto City Centre Airport, Toronto, Canada. 11. YWQ, Chute-Des-Passes, Chute-Des-Passes, Canada. 12. YYZ, Lester B. Pearson International, Toronto, Canada. 1. Best Western on the Avenue, 510 Delaware Avenue, Buffalo. 2. Lenox Hotel & Suites, 140 North Street, Buffalo. 3. Holiday Inn Buffalo – Downtown, 620 Delaware Avenue, Buffalo. 4. Best Western on the Avenue, 510 Delaware Avenue, Buffalo. 5. Lenox Hotel & Suites, 140 North Street, Buffalo. 6. Holiday Inn Buffalo – Downtown, 620 Delaware Avenue, Buffalo. 7. Adam’s Mark Hotel, 120 Church St, Buffalo. 8. Best Western on the Avenue, 510 Delaware Avenue, Buffalo. 9. Lenox Hotel & Suites, 140 North Street, Buffalo.